We empower our employees with the proper training, equipment, and mentorship to do their job successfully. Tridon Communications has been supplying wireless communication products and services to Alberta industry since 1981. We operate three full-service shops in Fort McMurray, Edmonton and Athabasca. We are committed to safety and have been recognized as one of Canada’s Safest Employers. We will, through safety, integrity, and with excellence, lead our markets with innovative and effective communications technologies, relentless in our passion for absolute customer satisfaction. We strive to be proclaimed the very best in fulfilling our customers’ needs. Tridon Communications is the preeminent supplier of wireless communication equipment and services to the Oil Sands of Alberta and has been so since 1981. We are locally owned and operated with over 140 staff and fully equipped service shops in Fort McMurray, Edmonton and Athabasca. 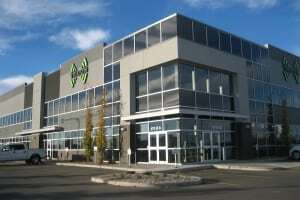 Also, we are a full CSA Certified Repair Center, a Motorola Platinum Service Centre, and a TELUS Customer Care Centre. We rely on the ever-changing developments in the science and engineering fields to provide a foundation of our expertise in the areas of professional RF Engineering project management, path studies, tower maintenance, evacuation alarm systems, mine truck dispatch systems, AVL/GPS, wireless LAN, remote site access, satellite telephony, wireless data and of course both conventional and trunked radio systems whether they be IP or analog based. Our remaining two cornerstones of equal and self evident importance are Ethical Practices and Safety. Collectively they form not only the foundation but also the guiding principles of our business, and our lives. We are a proud company, proud of our associations with our clients, proud of our amazing Employees, and proud of our involvement in this magnificent region and our small part in supporting and furthering the prosperity and well being of our Province and Country. Our client’s business is our business and we take both seriously.